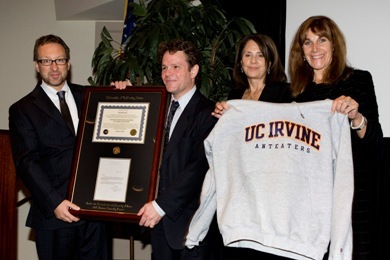 Writer David Bornstein was presented with the 2009 Human Security Award on October 25th, 2007. Featuring a keynote address by David Bornstein a, writer and recipients of the 2007 Human Security Award. On October 25th 2007, writer David Bornstein received the 2007 Human Security Award for his pioneering work on social entrepreneurship. The Human Security Award recognizes the remarkable efforts of people working to empower and protect the world’s most vulnerable communities. Mr. Bornstein is the author of How to Change the World: Social Entrepreneurs and the Power of New Idea, which tells the stories of individuals – from doctors to lawyers, from engineers to journalists – who are successfully demonstrating that one person with a powerful idea and a passionate drive to succeed can bring positive changes to the lives of thousands or even millions. The New York Times comments How to Change the World is, "must reading for anyone who cares about building a more equitable, and therefore, more stable world." He is also the author of The Price of a Dream: The Story of the Grameen Bank, which chronicles the worldwide growth of the anti-poverty strategy "micro-credit." The Price of a Dream, which drew on ten months of research in villages in Bangladesh, won second prize in the Harry Chapin Media Awards, was a finalist for the Helen Bernstein New York Public Library Book Award for Excellence in Journalism, and was selected by the San Francisco Chronicle as one of the best business books of 1996. 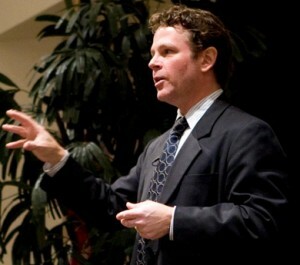 David Bornstein specializes in writing about social innovation. He is the author of "How to Change the World: Social Entrepreneurs and the Power of New Ideas"(Oxford University Press) which was described by The New York Times as "must reading"for "anyone who cares about building a more equitable and stable world"and a "bible"in its field. The book, which has been published (or is in the process of being published) in 20 languages, chronicles and analyzes the work of social innovators who are successfully addressing social problems at scale in several countries. Bornstein’s first book, "The Price of a Dream: The Story of the Grameen Bank,"traces the history of the Nobel Peace Prize-winning Grameen Bank during its first 20 years and describes the global emergence of the now-famous anti-poverty strategy known as "micro-finance. "Bornstein grew up in Montreal, Canada and now lives in New York City with his wife and son. He is currently at work on a book exploring the growth and implications of social entrepreneurship in the United States and Canada, and is developing a website that will serve as a tool for the discovery of solutions to major social problems. We would also like to thank the Canadian Consulate General of Los Angeles and the Government of Canada for their ongoing support of our research and education on human security issues. We would also like to extend our appreciation to Soka Gakkai International-USA Buddhist Association (SGI-USA) for allowing us to display their "Children Are The Future" exhibition.